A MUST HAVE FOR FANS OF AMERICA'S SPACE PROGRAM! 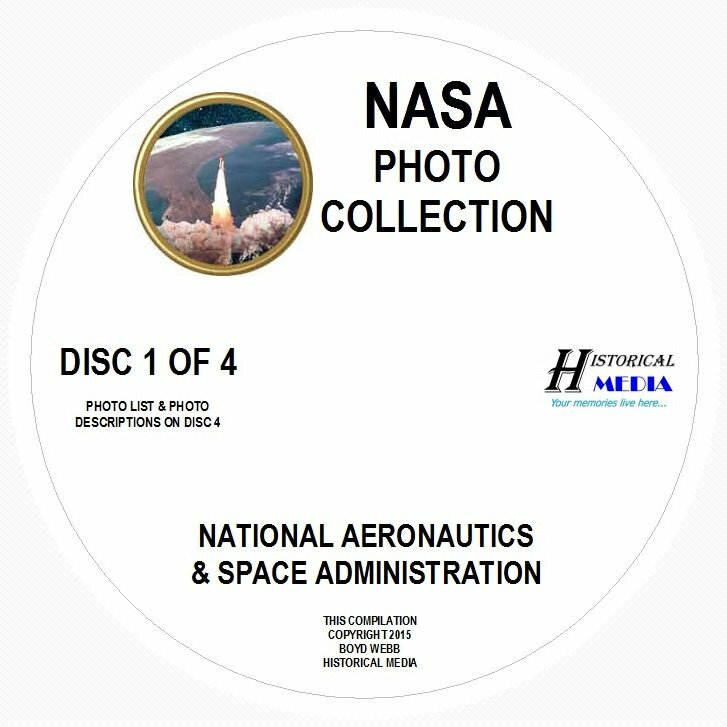 OVER 2GB OF NASA HISTORY IN PICTURES ON FOUR CDs! OVER 2,000 HIGH-RESOLUTION IMAGES IN .JPG FORMAT! * Famous Astronauts: Neil Armstrong, Buzz Aldrin, Alan Shepard, John Glenn, Gus Grissom, Pete Conrad, Jim Lovell and many, many more! An Excel spreadsheet with NASA photo numbers, photo titles and descriptions is included.